Search Fair Haven homes for sale and homes in Fair Haven. Call 732-616-6226 to see homes in Fair Haven. Fair Haven, in Monmouth County NJ, is located along the banks of the Navesink River. Homes in Fair Haven are generally large and are in the upper price range. Many of the Fair Haven homes for sale are lavish older homes, and many of these homes were built in the early 1900’s. Typically, the prices for these stately homes begin around $400,000, but they can easily exceed $2,000,000. In Red Bank, which is nearby, you’ll find a booming downtown with restaurants, shopping and entertainment. In Red Bank you will find The Count Basie Theater, which offers plays and musicals, comedy, concerts and more. Also in Red Bank is a train station on the Jersey Coast Line, which provides service to New York City. There are marinas along the Navesink River for boating enthusiasts, and at times when the river freezes over you’ll see ice racing boats on the river. The population at the time of the 2010 Census was over 6,000 people and the median household income was over $112,000. As a result, Fair Haven is one of the highest income towns in Monmouth County. The Fair Haven public school system educates students in grades K-8. 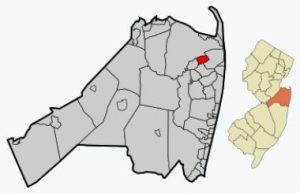 When children enter high school they will attend the Rumson-Fair Have Regional High School, which is located in Rumson. Also, there are numerous private schools in the area. The Monmouth County Vocational School District also accepts students into it’s seven magnet schools. These schools provide education in field such as communications, high technology, marine sciences, biotechnology, health and sciences, building trades and more. The downtown area of Fair Haven offers upscale shopping, and there are many fine restaurants in town. Commuters like Fair Have because train service to New York and points north is nearby in Red Bank. Call 732-598-7700 today to see Fair Haven homes for sale or homes in Fair Haven.